Other Notes: Keep an extra set on hand, just in case. These defibrillation electrodes are for the Philips HeartStart FRx AED. They're packaged in a plastic case, which fits into the FRx semi-rigid carry case. Like other AED pads, SMART Pads II are one-time use and disposable. Order an extra set to keep your FRx AED ready for action and make sure you keep an eye on the expiration date printed on each electrode pad set. SMART Pads II have an expiration date of at least 24 months from date of manufacture and need to be replaced when they expire to keep the AED in working order. The Philips FRx Infant/Child Key converts the FRx into a pediatric defibrillator. You can use the same SMART Pads II for infants, adults, and children with this product which eliminates the need to order and keep track of multiple types of electrode pads for various age groups. 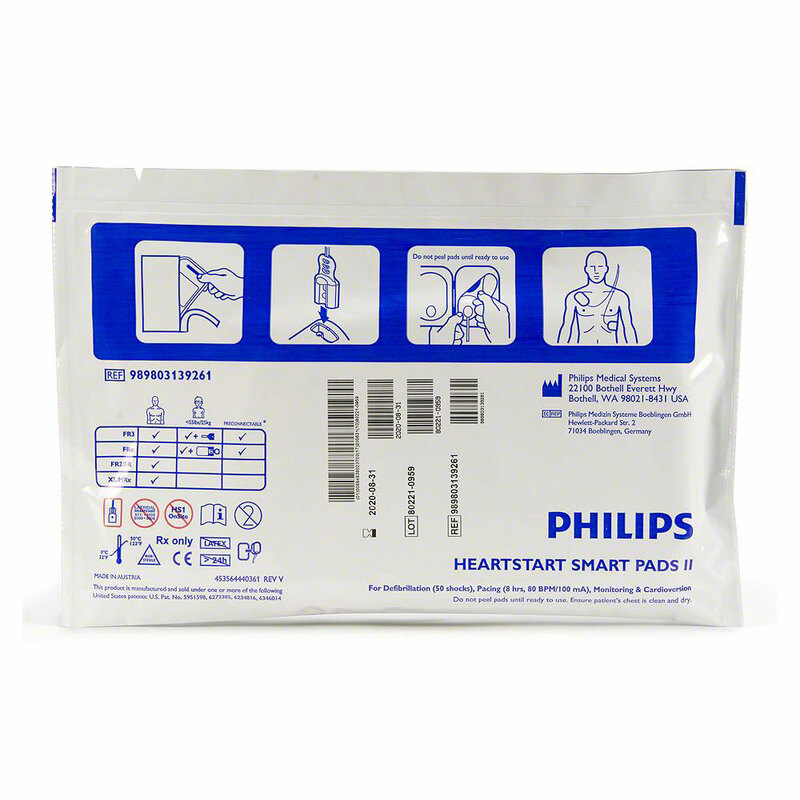 These electrode pads can connect and be used with Philips HeartStart FR2, FR2+, FR3 AEDs and the Philips HeartStart MRx, XL, XLT and XL+, which are ALS defibrillators used by medical professionals. 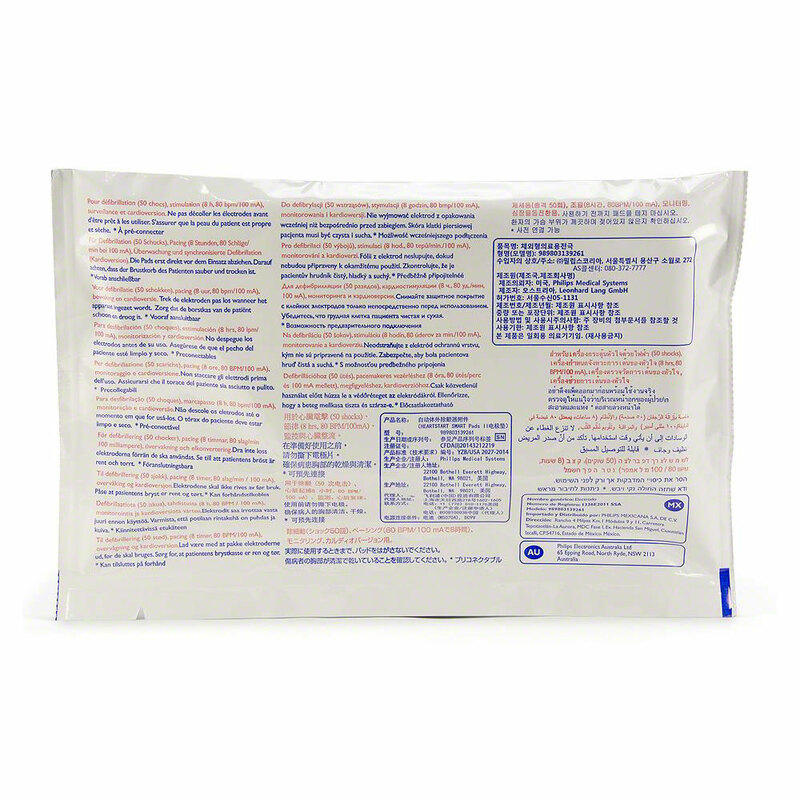 This product is compatible with most of the Philips line of AEDs, however, the electrode pads will only register as preconnected pads in the FRx and FR3 AEDs. 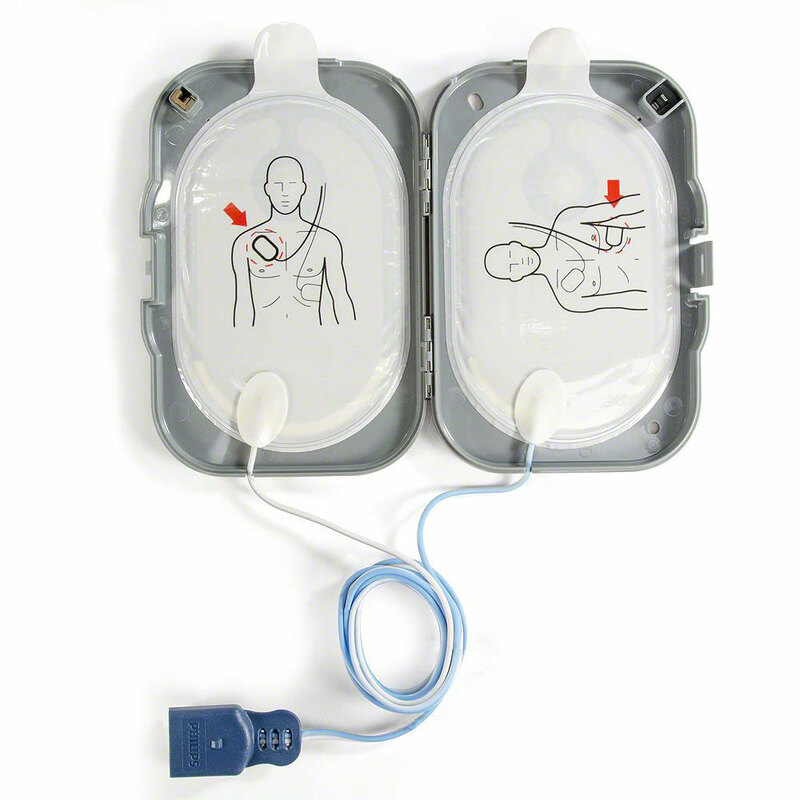 We suggest you purchase device-specific electrode pads for the Forerunner and FR2 AEDs and all ALS defibrillators. 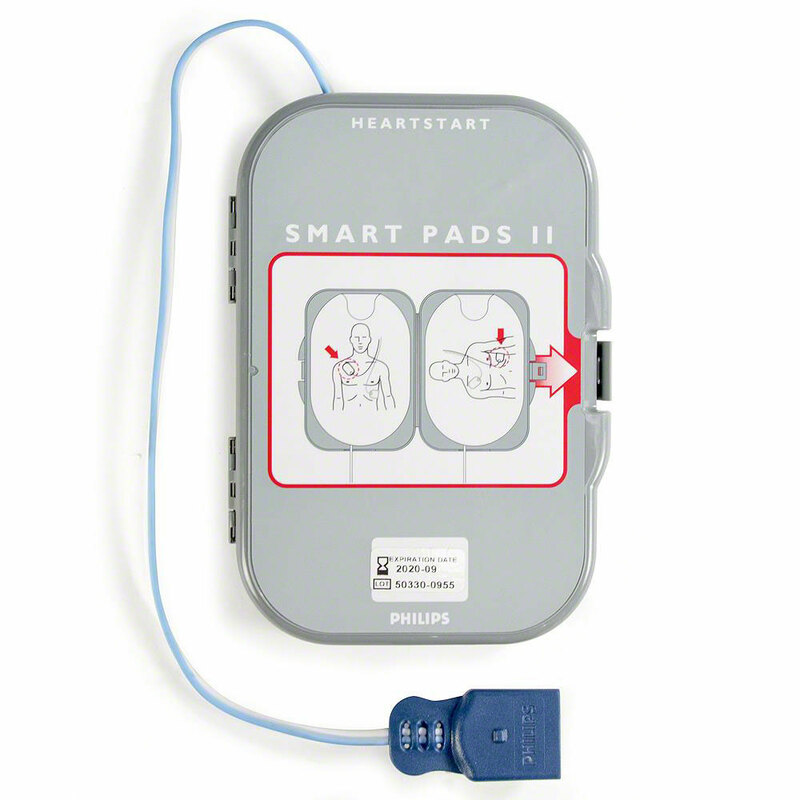 SMART Pads II are not compatible with the HeartStart OnSite (HS1) or Forerunner AEDs. If you're buying electrode pads for your AED, now would be a great time to check the status and expiration date of your battery pack, too! Quality product...well built...pads do stick well. Easy to order and delivery as promised. AWESOME SERVICE WITH TLC. QUICK DELIVERY. NO HASSELS!!!! Very happy with all aspects of the transaction. Quality product and speedy delivery. We have several AED units onsite and a fully staffed Emergency Response Team, so if the need arises we are prepared.